November 9, 2016 (FORT WORTH, TX) – Boxer Property is pleased to announce that United Way of Tarrant County has renewed its lease in the North Main Mercado building located at 1500 North Main Street in Fort Worth, TX . The United Way of Tarrant County has occupied 24,651 square feet of office space in the complex since 2007. President of Boxer Retail & Resorts, Michael Pariza, negotiated the lease on behalf of Boxer Retail. JLL Managing Director Todd Burnette and Vice President Matt Montague represented the tenant. The North Main Mercado is a two-story mixed use office and retail property with a total of 44,076 square feet of rentable office space. 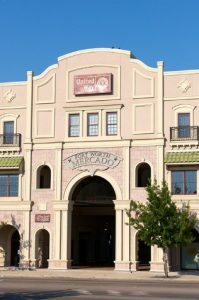 Constructed in 2006, the building takes its theme and design elements from the historic Fort Worth Stockyards District in which it resides. United Way of Tarrant County is a fundraiser, grant maker and catalyst for change – a convener — working to improve the lives of everyone, in all communities throughout Tarrant County. It is fighting to advance the education, financial stability and health of every person in every community throughout Tarrant County. Through milestones called Bold Goals, United Way is committed to making a measurable impact by the year 2020 by giving kids the tools to succeed in school and graduate on time; helping low-income working families on the path to financial stability; and improving the lives of adults with ongoing health concerns such as Alzheimer’s disease and diabetes. United Way gets results by creating innovative partnerships of people and organizations that have the passion, expertise and resources to produce lasting change. Boxer Property is celebrating over 24 years as an innovative commercial real estate investment and management company that specializes in maximizing the value of under-performing and challenged properties through aggressive leasing and hands-on management. Founded in 1992, Boxer Property is a privately held real estate company that manages, leases, and administers retail, medical, hospitality and office properties with over 15 million square feet across more than 120 locations, nationwide.